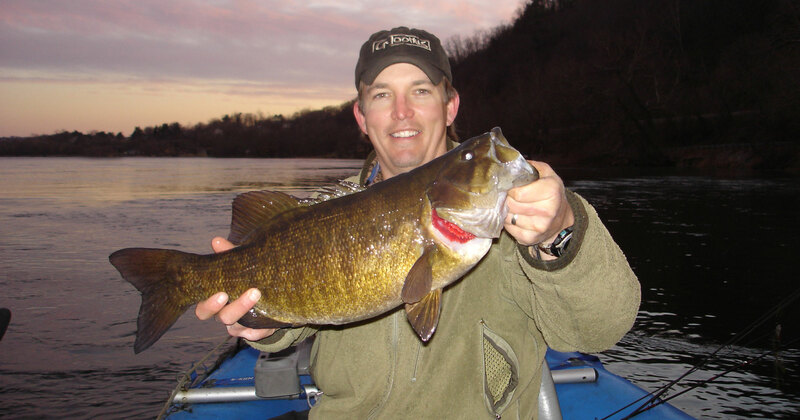 While February is prime musky season on the New River, it is also the time of year that we begin preparing for our upcoming smallmouth season. We cut our teeth in the guide business over 15 years ago when our dear, late-friend Cap’n Jack West presented me with an opportunity to help him in his thriving guide service. While Jack may have been older, he was truly young at heart and really fun to be around. I can still remember the moment when we were anchored below a rapid on the New River and Jack asked me to help him. I was completely shocked and Jack reassured me that I could do this, and that I’d be really good. I told Jack that I needed some time to think and pray on it, and that I’d let him know. Sadly, Jack passed away the same day I responded to him that we were looking forward to joining his team. We were devastated to say the least and had no idea what we were going to do. Because his confidence had made such an impression on me, we decided to forge on. We scraped some money together to buy our first raft and in our first season on the New River, 2004, we ran 35 guided smallmouth trips. It was an exciting time and everything was so new and full of adventure. There was no social media and the associated pressure to “keep up” with the pack; it was just pure fishing and enjoyment at its finest. 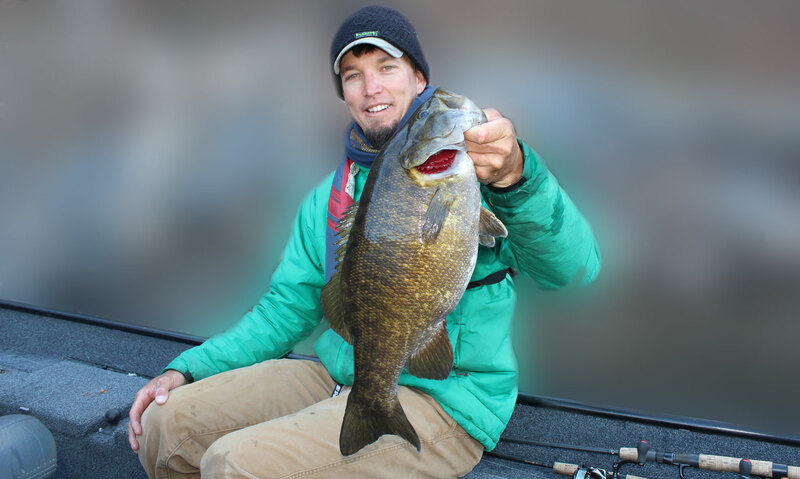 Our business grew exponentially the next several years as it turned out that Jack was right; I really did have a knack for chasing big smallmouth and a passion to share it with others. And I had the best team member I could have ever of asked for, my wife Leigh! I have grown to really love cold-water fishing and the tranquility it provides to virtually have the river (and fish) to yourself. I have caught smallmouth with water temperatures down into the 30’s but I prefer the New River to be between 39 and 45 degrees. 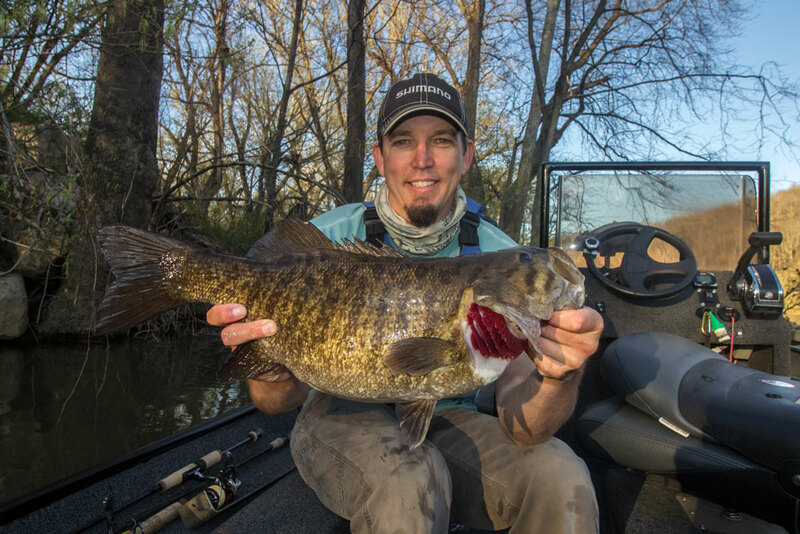 February and March, and sometimes into April, are excellent times of the year to chase big smallies as they are typically grouped up and willing to bite if you find them and probe them hard enough. My bait of choice is my 1/4oz “Ungulator” rabbit hair jig that I designed and tied to match the cold water forage that New River smallies will fight over; mad toms. I like to target winter areas that have some depth, good rock or log structure on the bottom, and attract food. I will use the jig to “dissect” the bottom very deliberately, using a rod-lift to slowly drag and stop the jig as needed. I love to feel the jig fall off a rock as smallies will many times hit the jig on a free-fall off cover. Hits, or “tinks” as I call them, can be subtle or jolting but don’t take any chances and set the hook on any “feel goods” by reeling all the slack of the line before a cross the eyes hook set. Make sure to use extreme caution while fishing during the winter months and always wear a PFD and let someone know where you are at all times. The ironic thing is that every winter, particularly February, the anticipation begins to build for the upcoming season. No matter how good or how hard the previous season was; I’m as excited as I was the first season we forged out into the unknown. I've learned a lot over the years on the river and have made a bunch of mistakes in the process; some I wish I could have back. I believe that I have truly learned more about myself, fishing, and people from these mistakes than from any big fish landed. Leigh and I are just so grateful for all the friendships we have made through this journey and feel truly blessed to have spent so much time on (and off) the water with so many wonderful people. We'd love to see you this year, so please give us a shout at 540-921-7438 to hit the New River with the NROC team. 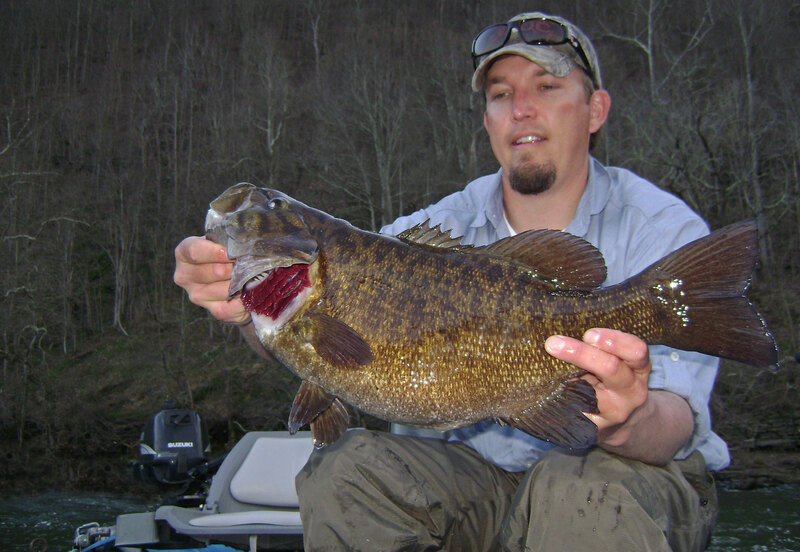 You can also visit our fishing website at www.newriversmallmouth.com or our Activities Page for more details on our guided smallmouth trips.